WELCOME to another exciting season with the Cascade Winds Symphonic Band. 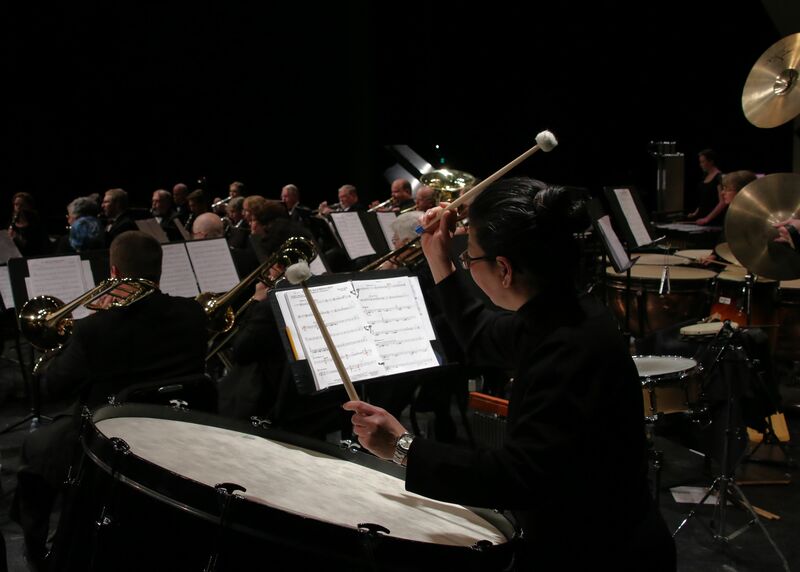 The Cascade Winds is a dynamic ensemble of some of the region’s finest musicians who are dedicated to creating an entertaining and enjoyable musical experience for audiences of all ages. Our winter concert of the 2018-19 season is on Sunday, March 10, 2019, 2 p.m. in the Summit High School Auditorium located at 2855 NW Clearwater Drive in Bend. See you there! Directed by Michael Gesme, the Cascade Winds perform a wide variety of repertoire that often spans several centuries and represents diverse musical styles (see our concert schedule). The members of the band feel that it is important that music is accessible to all, therefore our performances are free and open to all listeners. However, we still have production costs associated with our concerts. As a result we rely on individual and corporate donations as well as fees from the musicians themselves to support our operations. We are a non-profit, 501(c)(3) organization and all donations go towards our direct operating expenses. No funding goes toward administration of the band which is fully supported by volunteers from within the group and the Central Oregon community. Your generosity is greatly appreciated and your support will help further the presence of music in Central Oregon. You can learn about support the band on our donation page. Your feedback has been received and we'll do our best to respond, if appropriate.